"Well, you know what we have to contend against, but we too, are not without strength. We have on our side power of combination, a power denied to the vampire kind, we have sources of science, we are free to act and think, and the hours of the day and the night are ours equally. In fact, so far as our powers extend, they are unfettered, and we are free to use them. We have self devotion in a cause and an end to achieve which is not a selfish one. These things are much." The problem with the "hunters are after us" plot, as typically presented, is that it is run by a LARP GM, thinking like a Tabletop GM. In its typical presentation, hunters are a threat to all of the Kindred of the city. This is bad LARP writing. In our area, we say that this sort of external threat forces the player characters to "form Voltron." The greatest reward, when the threat is presented like this, is in working as a team to clean up the problem. Individuals are most rewarded for their actions in defeating the common enemy, and are granted status for doing so. What a terrible outcome! We don't want to run "D&D standing up," where the player characters form a party, their differences are reduced to quirks, and success is a measure of how well you contribute to the team's goals. Yuck! We want scheming, backbiting, intrigues, and conflict. A common enemy sabotages our goal! Every threat in an avowedly competitive game should create opportunities for conflict between the PCs, rather than opportunities for cooperation. Van Helsing makes this crystal clear. The hunters "have on [their] side power of combination, a power denied to the vampire kind." The key here is that vampires are supposed to be pretty bad at teamwork. When run well, the emergence of an external threat, such as hunters, should support Van Helsing's pronouncement, not undercut it. Target the unshakable. Start by targeting the player character who seems to have "won" the power game. Select the character who is holding onto power with a bloc of apparent myrmidons. A smart hunter targets and attacks one vampire at a time. No sense taking them all on! Make the threat uneven. Make it so that the hunters are completely undone by Obfuscate or Dominate; or make it so that they care only about stopping blood magic or the ancient bloodline of Carthage. Make it so that they are strongest above ground, and fear to hunt in the sewers; or give them allies in the forestry service and parks department so that they are strongest against the woods-dwellers. Have them sap Influences, annoying just the power brokers. This will cause some characters to care more than others, making the reward for solidarity uneven. Drive a wedge. Be social. This is LARP. Just like PCs, the hunters can profit by talking to other vampires; and the other vampires can profit by talking to the hunters. 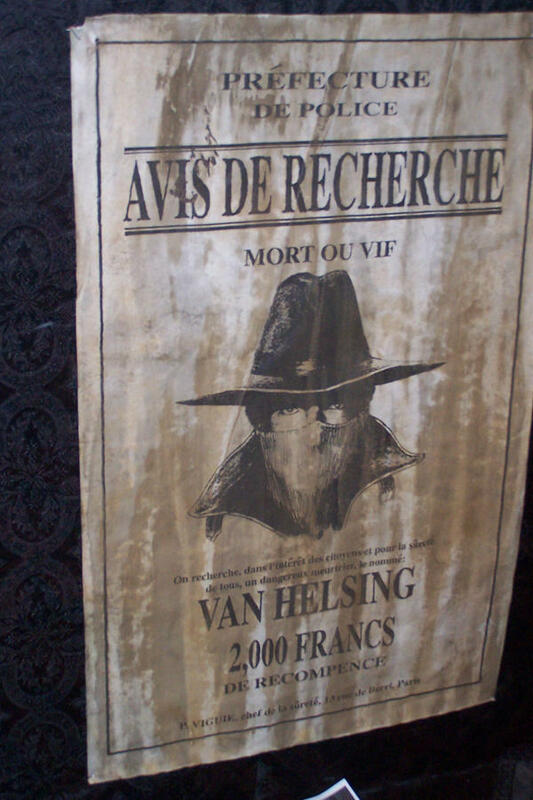 Think like Van Helsing or Harry Dresden. Once the hunters have discovered that there are other vampires who oppose their target, they will apply the old adage "the enemy of my enemy is my friend." They will reach out and offer to coordinate. This has so many major advantages: First, it helps threaten the unshakable, keeping the power game "in play." Second, it creates a dark secret; the PC who collaborates with hunters for political gain is committing a serious crime in Vampire society. Best to have the hunter contact a tight-knit faction, clan, or coterie; because then there are more opportunities for the secret to leak. Third, it creates opportunities to roleplay! How about that -- a hunter plot that's about talking, planning, and scheming instead of chops and initiative rounds! They're not pushovers. The hunters have an ace up their sleeve. "You can refuse to cooperate with us. But remember, we know how to get hold of Prince Unshakable. We can just as easily work with him instead of against him." They have other aces up their sleeve as well. "We have information we can trade for your help. We have artifacts and objects we have taken from our previous... missions. It's amazing what - and who - your kind keep in the basements of their havens and chantries." Make the threat elusive for the victims. The unshakable coterie in power cannot defeat the hunters alone. The hunters are smart - they know they act best in daylight, and they know vampires cannot travel safely. "...the hours of the day and the night are ours equally." So they stay in the country, three hours away, and visit the city each day, ensuring they're always two hours away from city limits when the sun rises and before the sun sets. They act through cutouts and contacts. They have wealth and influences. Leave no leads. As the GM, you have the power to drop clues and plot hooks -- or not. In this case, you're choosing to drop lots of clues and plot hooks -- but only for the victim's enemies. See #3. See, the hunters are a weekly presence only for their secret PC allies. Their victims don't know what's going on until the first shot is fired. Until then, they might know hunters are active in the city, undermining influences, or searching the forests and parks through cutouts. But they don't know the shape of the plan. Only the ally PCs do. When the hammer falls, make it PCs who drop it. When the underdogs attack the seemingly-untouchable prince, the hunters will help them, but they won't show up in the flesh. The PCs are the stars of the show, and it wouldn't do to steal their spotlight. Besides, the PCs don't want the hunters there anyway. It would be unseemly to be seen coordinating with hunters. No, the hunters will act like the American CIA, supplying intelligence, providing equipment, coordinating logistical support, and launching attacks from over the horizon. You want to beat Prince Untouchable? Here's information about him you didn't have. Here's a plan to trick him into being alone. Here's a location we can support you with sniper fire, rocket launchers, and influences to lock the area down. Here's a crucifix that, when bared, shuts down disciplines for just a few seconds, before your presence profanes it and shatters its power. If you really want to get into the minds of hunters, try a tabletop game of vampire hunting like Hunter: the Reckoning or Night's Black Agents - the game that inspired this article.